Linda dedicates each day to ensuring that Gemini Risk Partners’ clients receive the concierge-level service they deserve. Her mission is to provide responsive and attentive service, regardless of your firm’s size or the length of your relationship with Gemini. 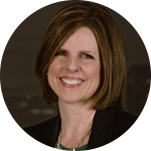 She has been in the insurance industry for 9 years and enjoys working with a variety of law firms nationwide. Linda is a graduate of Michigan State University with a Bachelor of Arts Degree in Business Marketing. Linda and her husband are navigating the travails of raising three beautiful daughters, with one in high school, one in college, and one getting ready to get married. Their Goldendoodle puppy keeps them feeling young! On football Saturdays, you can find Linda cheering on her beloved Spartans!